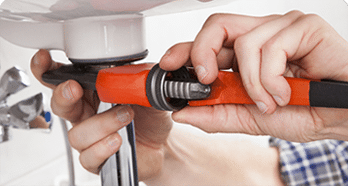 Our plumbing team expertly tackles all plumbing jobs – keeping the plumbing systems in Hampton Roads homes and commercial properties in perfect running order. 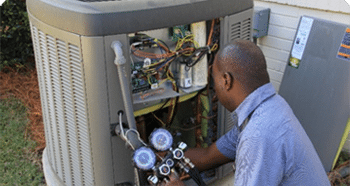 Our HVAC team installs and services all major brands of heating and cooling equipment. Allow us to guide you in replacing your aging system today. Our business was founded on impeccable electrical service. 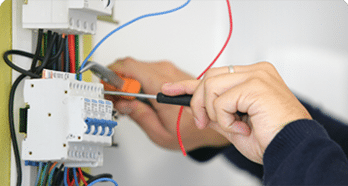 Allow our team of highly skilled qualified electricians to help with all your electrical needs. 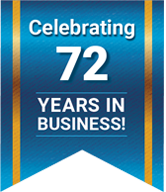 For over 70 years the Smith & Keene family has served the Hampton Roads area with Heating, Air Conditioning, Electrical, Plumbing, and Generator services. 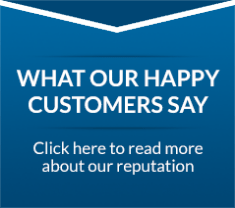 Homeowners and Business owners alike have trusted Smith & Keene since 1947. Whether you are new to Hampton Roads or have been here for generations like us, we are excited to share with you the hallmarks of Smith & Keene. With 24-7 operations, Smith & Keene is at the ready to provide you with our quality service. We put our customers’ comfort first. With Smith & Keene there is no middle-man, no subcontractor. Our qualified technicians and support staff are Smith & Keene employees. Every member of our team is held to the same commitment and pursuit of excellence on which Smith & Keene was founded. We have locations in Chesapeake and Newport News, totaling 56,000 square feet of warehouse space. We keep our warehouses stocked with thousands of HVAC, Electrical, Plumbing, and Generator equipment ready to bring comfort to your home or business. That volume of space and equipment saves you time and money. Smith & Keene is more likely to have the equipment and parts that you need in stock, reducing the time it takes to repair or replace your system. Our buying power is passed along to you, providing savings to your bottom line. Whether you are looking for a home standby generator, business generator or a portable generator, allow Smith & Keene to help your power on when the lights go out. 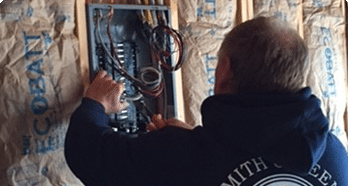 Smith & Keene has the knowledge and experience for complete new construction installs of heating and cooling, plumbing, and electrical systems. Your comfort is our goal. With 24-7 emergency repair services available, we will have you back up and running before you break a sweat or break out your sweater. Deeply rooted in Hampton Roads, Smith & Keene began by two friends and former Newport News shipbuilding employees back in 1947. Today we continue as a family business with third generation Smith & Keene founders at the helm. The NOAA has predicted a 75% chance that the 2018 Atlantic hurricane season will have as much or more hurricane activity than last year. Don’t be left in the dark during hurricane season! Be prepared with a 20KW Home Standby Generator starting at $8,899 from Smith & Keene. This home backup generator price also includes an automatic transfer switch and installation! Contact Us for an appointment! If you are looking for a portable generator, Smith & Keene is now offering a 6.5KW electric start portable generator now starting at $2,047. This limited-time price includes Homelink pre-wire transfer switch, plus labor and installation by a certified Smith & Keene electrician. Offer expires October 31st, 2018 so contact Smith & Keene for details today. There is no worse feeling than coming home and realizing your heating or air conditioning is not working. 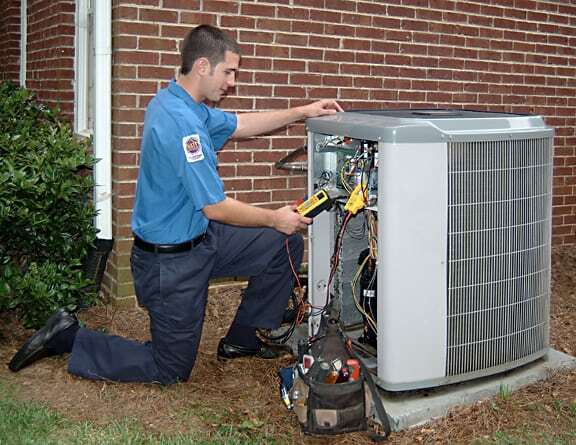 Our 24/7 repair services will get you and your family comfortable again as quickly as possible. Our huge warehouses on both the peninsula and the south side mean that we have parts and equipment ready for your repairs or replacements, no matter where you live in the Hampton Roads region. Whether you need an emergency repair of are part of our Signature Service Plan, high quality service is just a phone call away. Peace of mind for only $12/month. It’s a matter of trust. It’s a matter of commitment. Dennis Lovely has got to be one of the best systems technicians I’ve seen. He just finished our AC annual checkup and did a fabulous and professional job. He left no element untouched, examined, cleaned, meter checked and installed properly and cleaning all along. His attention to detail- taking all the numbers down, completeness and thorough approach is most commendable. And, all the while humming while he works – someone that loves his job and the professionalism he brings to it. My highest appreciation for his continued and complete dedication to Smith & Keene. My husband and I recently purchased an AC/heating unit from your company. Everyone we spoke with at Smith & Keene was highly professional and efficient. However, one person that truly has gone above and beyond to answer all of my “many” questions and provide information is Erin Cole. She truly is a professional and has made this entire experience very rewarding. Every time I have emailed or spoken to her, she has responded pleasantly and quickly with the information. Today, I emailed her to ask for the correct serial number to use to get the extended warranty started online. When she emailed me back, attached was a copy of the extended warranty that “she” completely filled out! It’s not often people go that extra mile anymore to assist customers. I will definitely use your company again when we replace the second unit in our home because of people like Erin. I would like to thank you very much for the recent service on the replacement of our Navien Boiler. First we greatly appreciated the complete replacement of the entire unit under the existence of the current warranty. Second we were very impressed with your service tech – Frankie Fain. 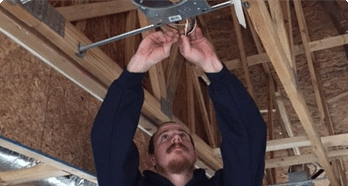 He completed the entire job in a timely manner – was very knowledge in the installation – and did not leave until he was completely satisfied that the new unit was functioning perfectly. Also he has a great customer service outlook – it is a pleasure to deal with him. Great member of your team. Welcomed Service Technician Dennis L this morning. A very cordial technician who conducted our service check of the heating system for the winter months. Very professional and thorough. He checked and did the favor of installing a clean return filter I intended to replace saving me the chore. Dennis is a professional who reflects well on the Smith and Keene reputation. Thanks. I had my Lennox two ton heating and air conditioning installed last Friday and it was a very good experience. They were on time, courteous, and explained about what they were going to do and did. Clean up was great and they left no mess behind. I was very happy in my choice. Thank you again Smith & Keene and my tech guys, Jonathan Mulder and Mike Gotta. Thanks to Jonathan Booth and Sam for being on time! They were polite and respectful....which in itself goes a long way. They worked diligently and I would highly recommend them for anyone!! Love your company and kindness throughout the whole experience of getting a new HVAC system. Purchased a Kohler whole home generator from Smith & Keene based on it's reputation for quality. Chose Smith & Keene for installation based on their reputation for excellence and customer satisfaction. Extremely pleased with both! From planning, sale, and installation the entire process was seamless and worry free. Special thank you to Keith and the entire install team! You are true professionals. I would, without hesitation, recommend Smith & Keene if you are interested in a similar purchase and install. I can't tell you how happy Smith & Keene has made all us at the VBSPCA! We truly appreciate your thoughtful and heartfelt contribution to make our air safe and clean for the animals in our care! Keep up the good work and the employee loyalty- I was impressed with how many of the crew members working on our project had followed family members to Smith & Keene! Great! The guys were all very nice, the little problem with the water pressure with the new water heater was taken care of and when one of the guys had to make holes in the ceiling/wall, they got back out here with the sheet rock. Your kindness to help us with the water heater helped me rest easier. Thank you from the bottom of our hearts. After making initial appointment, had a death in the family and the customer service department was extremely accommodating on reschedule. Dennis was extremely professional, if available, want him on all future calls. We are writing to convey our appreciation for your employee, Nick. Nick serviced our heat pump on Nov. 16. He was friendly and informative. We have had ongoing issues with our heat pump. Nick carefully explained our options to repair it. We were impressed with his knowledge and helpfulness.